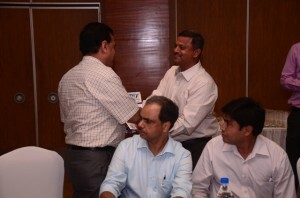 The excitement generated by the upcoming Pamex 2015 was palpable as the core group members gathered for its second meeting at the Surya Hotel, New Delhi on the 22 May 2015 to brainstorm and draw out a road map for the successful hosting of the exhibition and the concurrent conference at the Bombay Exhibition Centre in Mumbai from 9-12 December 2015. 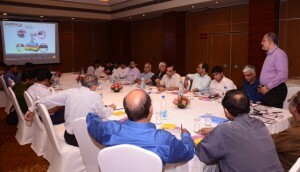 The meeting was attended by over thirty leading printers, suppliers and media persons including representatives of Cambridge Press, Dewan Offset Printers Pvt. Ltd., Dhote Offset, Foil Printers, India Printing Works, Insight Communication & Print Solution India Pvt. Ltd., Konica Minolta Business Solution, Memory Repro Systems Pvt. Ltd., Monotech Systems Limited, Nippon Color, NPES, Paper Bind, Pressline India, Print & Publishing, Provin Technos Pvt Ltd., Sahil Graphics, Shalimar Offset Press, Sri Durga Polymers, Sumi Publications & The Jeyagraham Arts Crafts. The tone was set by an eloquent welcome address by Anand Limaye, Hon. 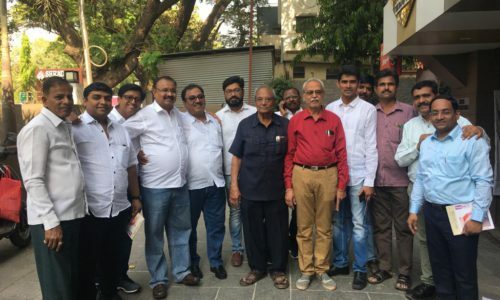 General Secretary of the All India Federation of Master Printers (AIFMP), where he briefly traced the history of Pamex. 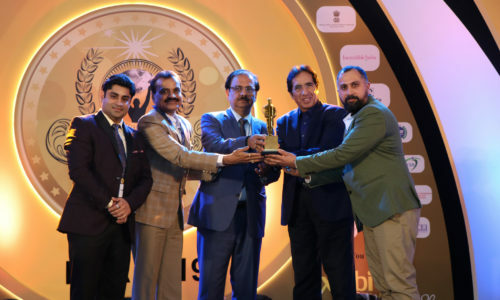 He also shared the rationale of moving the event to Mumbai in its 10th edition and predicted a closer co-operation with IPAMA that would benefit their respective events as well as the exhibitors and visitors of both the exhibitions – Print Pack & Pamex. 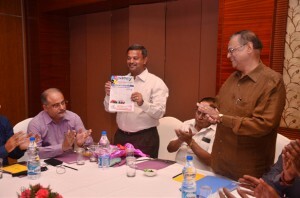 The meeting started with the release of the 1st series of three promotional newsletters planned for Pamex by AMSG Ashokan, Chairman, Pamex Organising Committee, as he presented the first copy to Satish Bajwa, Vice Pesident, IPAMA. Tushar Dhote, Co- Chairman of the Pamex Organising Committee presented a detailed update of the status of stall booking and the promotional campaign till date. He also outlined the International conference planned on the second day of the event at the exhibition venue itself before opening the forum to a freewheeling discussion. The group was overwhelmingly buoyed by the decision to shift the exhibition to Mumbai. In a moving recount of his participation in various editions of Pamex, Bal Krishan Khindria, Managing Director of Memory Repro, spoke of how the entire industry was enthused with the move. The group recommended a grassroots level campaign in the states of Maharashtra, Goa and Gujarat to attract a large number of visitors. A systematic campaign to reach the ‘B towns’ all over the country, especially in the South and an outreach to the International visitors from the neighbouring countries, the Gulf and East Africa was suggested. 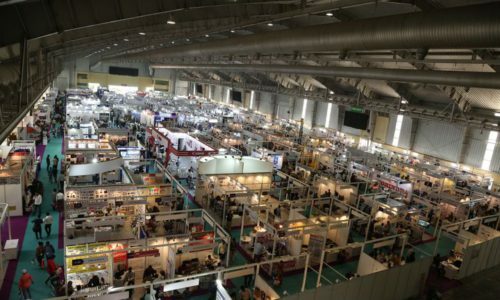 “Mumbai is ideally located to draw visitors from these areas and efforts should be made to get the largest numbers from here.” said Anuj Mehta from Paper Bind International PTE Ltd. “Running Machinery is the life of a Printing exhibition. The prime locations in the hall should be reserved for the exhibitors that commit to display live running machines and launch new products,” opined Kishore Kumar from Monotech Systems, a view shared by all present. As a corollary, tight monitoring of procedures for Octroi and hassle-free movement of exhibits through the border check posts and on site handling should be ensured by the Event Managers. In his closing remarks, Ashokan thanked the gathering for its contribution in providing an insight into the concerns of the industry and promised to design a promotion campaign and a conference that would take into account all the inputs received from the core group. He also expected this interaction to be an ongoing process and continue through a WhatsApp group.